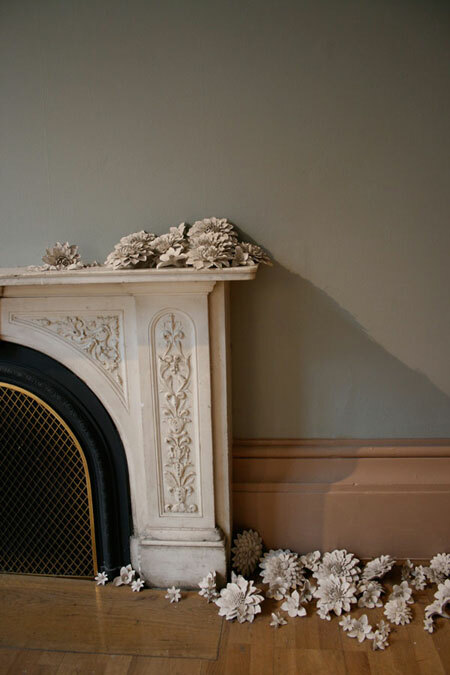 Specimen - This work discusses the beauty and skill inherent in making in relation to the pottery tradition in Stoke-on-Trent. 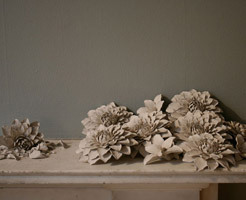 This work discusses the beauty and skill inherent in making in relation to the pottery tradition in Stoke-on-Trent. 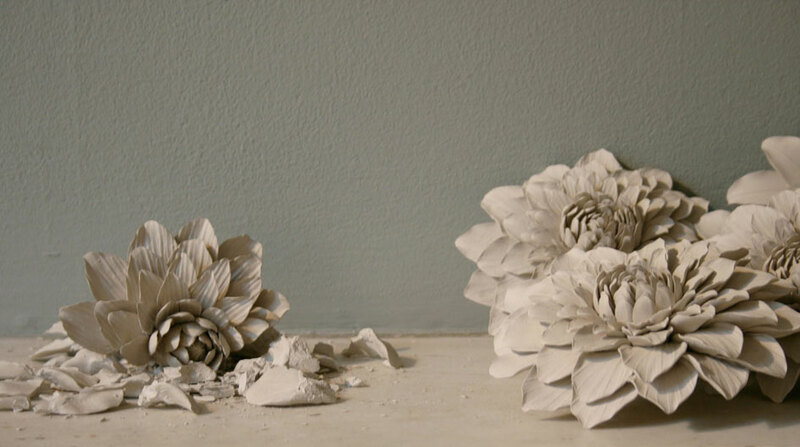 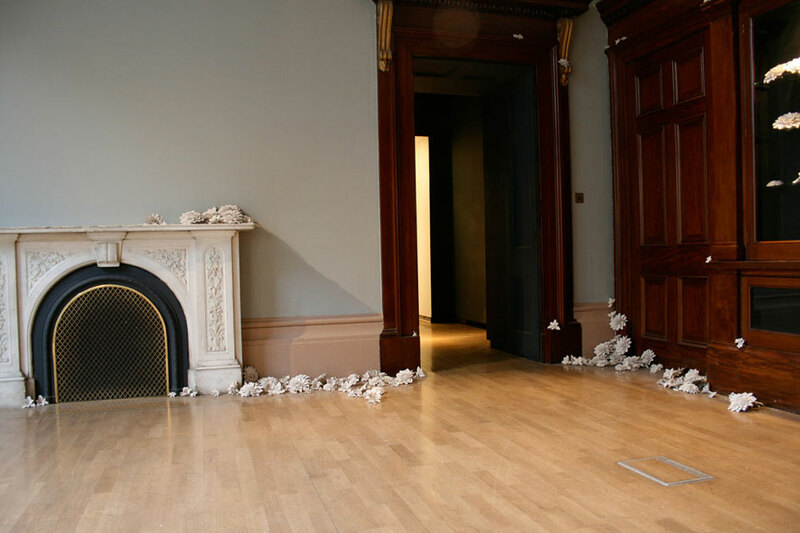 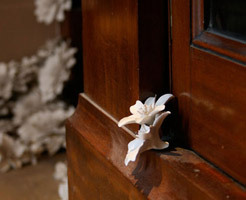 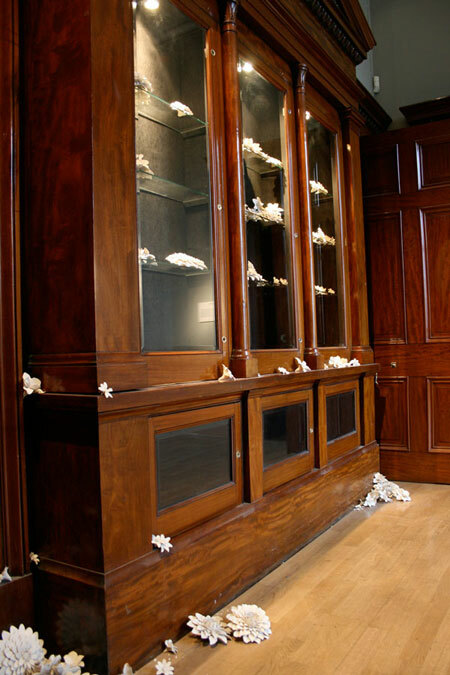 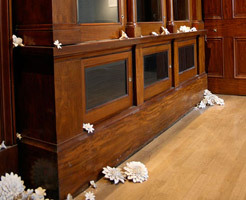 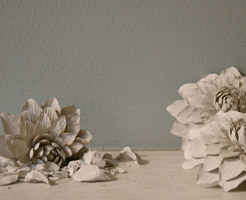 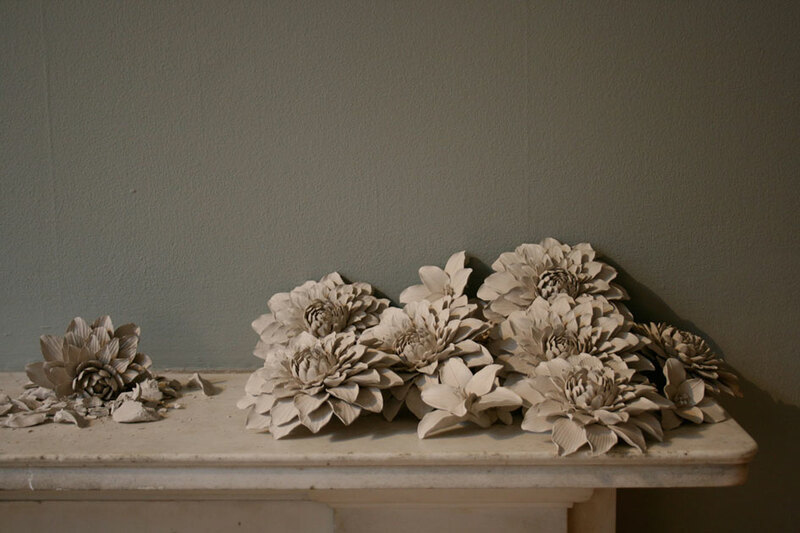 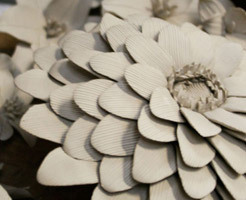 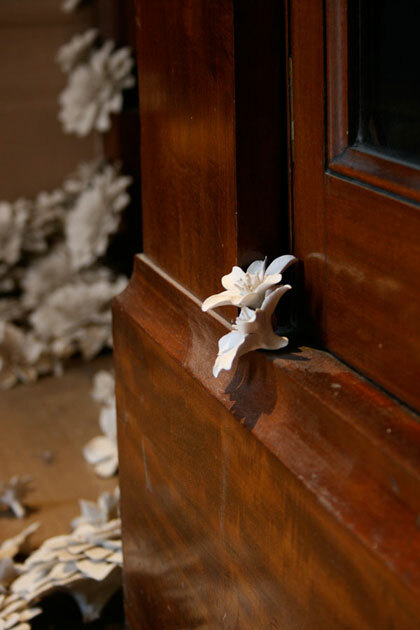 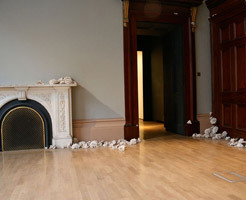 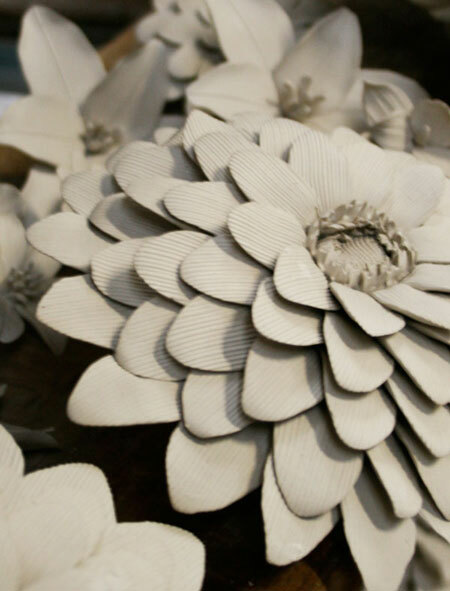 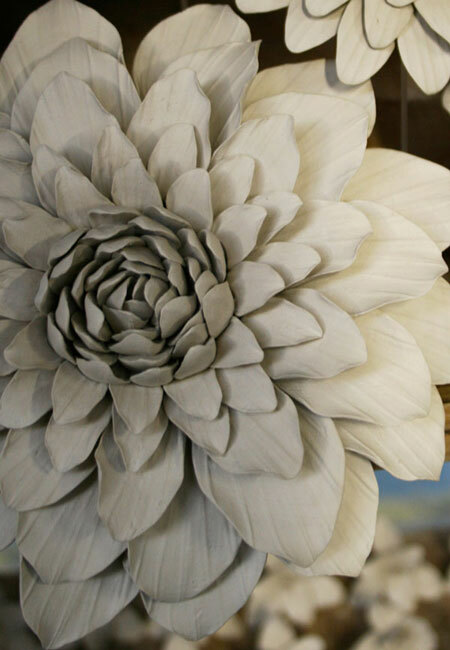 The floor space, corners and mantelpiece of one of the galleries at The Royal Academy was littered with a large number of handmade unfired china clay flowers that openly demonstrated their fragility: as they were touched by the public the flowers slowly deteriorated. 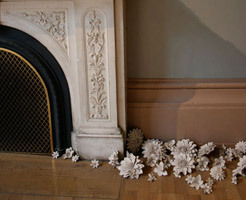 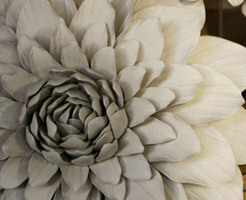 Specimen and Blossom are conceptually linked: both projects involve the slow deterioration of unfired china clay flowers but in two very different locations.